Many people are still struggling to pay off their debt that they racked up for Christmas in 2016, but wait, here comes Christmas 2017. It’s time to start planning today so that you don’t end up in the same situation of paying off debt this time next year. One of the first things that you can do to avoid debt this Christmas is to start with a budget. Put together a list of all the people you need to buy gifts for and a budgeted amount to spend for each person. This will help you stay on track budget-wise and will also help you remember all the people you need to buy gifts for this Christmas. Another way you can save for Christmas is by cutting expenses in your everyday life. For example, if you eat out for lunch every day at work, you might consider bringing your lunch to work more often. Brown-bagging it can really help save some money over time. If you start your Christmas shopping now, you have a lot more time to get the right deal on your gifts. Look for sales on your budgeted items. Use coupons for your gifts if they become available. You’d be surprised at how many stores are starting their sales well before the yearly Black Friday events. Cathy DeWitt Dunn hosts The Financial Hour with DeWitt & Dunn Financial Services which has aired on local Dallas/Fort Worth radio stations for over a decade. Each week Cathy gives her listeners insight into retirement planning and the use of fixed index annuities as part of a retirement strategy. 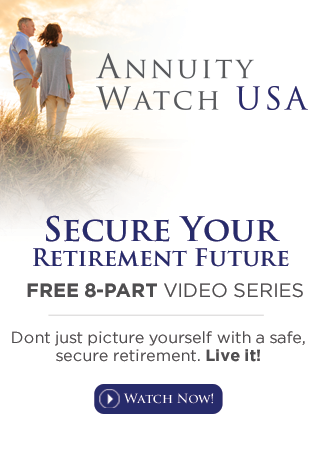 Use this link to request the latest annuity rates. Cathy DeWitt Dunn is also the driving force behind AnnuityWatchUSA.com, RetirementWatchUSA.com, and WomenMoneyAndPower.com. For more of Cathy’s television interviews, click Cathy DeWitt Dunn Television Interviews. Shannon Murray: It’s always fun to celebrate Christmas in July, but it’s never too early to shop and save for the actual holiday coming up in a few months. Here to get us started is financial professional Cathy DeWitt Dunn. To me, that just seems so far away I can’t even think about the holidays right now. Cathy DeWitt Dunn: Well, I think you need to. Shannon Murray: It’s gonna sneak up on me. Cathy DeWitt Dunn: Well a lotta people according to [inaudible 00:00:21], they just paid off their Christmas debt from 2016. That’s just so hard to believe. But you can really start planning today so you don’t end up in debt and have the same scenario this time next year. Shannon: So what are some of those first steps to really making that happen and embracing this idea of planning ahead like this? Cathy: Well first of all, it’d really be great if you sat down and you had a budget. So, you know, start putting down everybody’s name on the list that you need to buy a gift for or, you know, the teacher, whoever, and how much money you can allocate towards that particular person. And then throughout the year start thinking about, “Hey, this might be a great purchase to help me.” And by planning ahead of time, you’re really gonna save a lot of money, and that budget sheet’s really gonna help you. Shannon: Absolutely. And so we have some stamps here on the table as well, so kind of representing the little things that add up. Cathy: Yeah postage has really gone through the roof over the last several years. But you might think about going ahead and buying some stamps for the holidays ahead of time in case the postage rates go up, and also it’s gonna force you to go and write your own Christmas cards or send out your own items versus going to some of the websites where they mark up postage. So it’s just those little things over time that really add up because, you know, if you’re sending cards out to 100 people, well you might be able to save, you know, $50, $60 by doing it by yourself. Shannon: Right. And the brown bags we have here kind of representing the Idea of, hey, maybe bring your lunch. Those little things, again, just really add up. Cathy: Right. So if you’re used to going out to lunch every single day like a lotta people are, you know, why don’t you take a look at maybe going, you know, brown bagging it three times a week. Because if you can think about all the money that you can save, it’ll really help you to have money for future gift purchases. Shannon: And you scored a really good deal right here on this jacket. You’re not gonna wear it anytime soon, but. Cathy: I did, I did. So right now if you take a look, if you’re looking at items for the fall, I happened to pick up a Lululemon jacket that was originally about $128 marked down to $39, and then they had a day where they were clearing everything off and all jackets were $15. So that was a great idea just because I was looking to, you know, put some pieces in my wardrobe for the fall. So there’s some great deals right now. Imagine, a $15 jacket that was retailing for $128. Shannon: Right. So buying things in off-season really can help you, even a gift for someone. Cathy: Oh absolutely, it can help you a lot. Shannon: Great. Cathy, thank you so much. We have posted a link to DeWitt & Dunn and their website on our website, fox4news.com.